yfn lucci YFN Lucci Announces Debut Album, Ray Ray From Summer Hill + Reveals Cover Artwork! 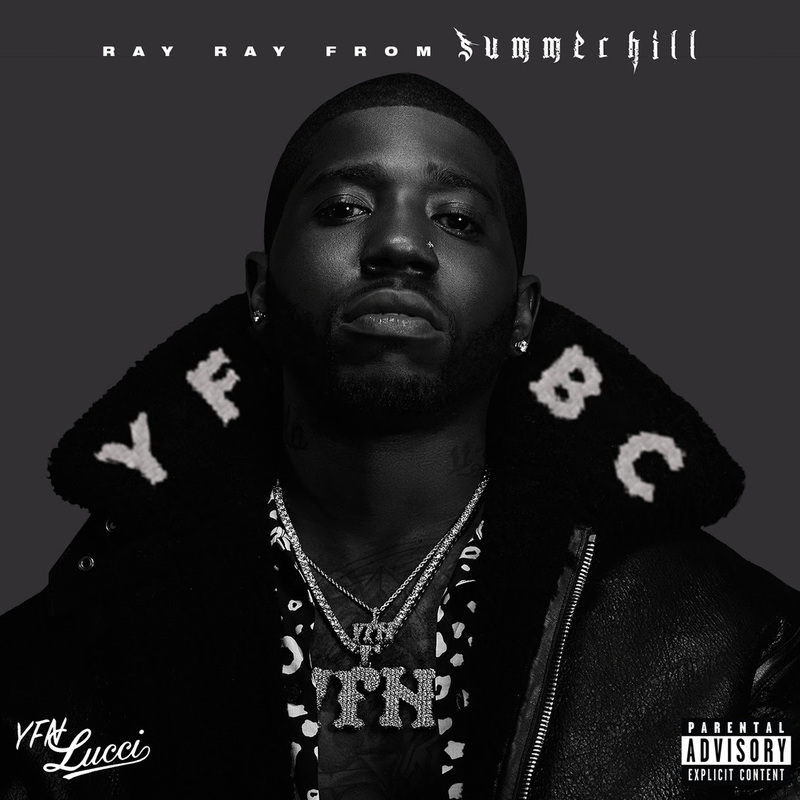 YFN Lucci Announces Debut Album, Ray Ray From Summer Hill + Reveals Cover Artwork! YFN Lucci introduced the forthcoming record with the red-hot single “Boss Life” [feat. Offset]. Earlier this month, Lucci brought the house down at the BET Social Awards with a high-energy and hard-hitting performance of the song. Online, it’s quickly nearing the 5-million mark on Spotify and 4 million views on YouTube. Additionally, the album boasts the brand new banger “Street Kings” [feat. Meek Mill]. It’s time to meet Ray Ray From Summer Hill. February has been a banner month for YFN Lucci. He celebrated his 27th birthday by throwing an Instagram-worthy circus-themed “Trap Du Soleil” party, which TMZcalled, “circus meets hood.” He also dropped the new Freda’s Son EP fueled by the standout posse cut “Propane” [feat. YFN Trae Pound & YFN Kay]. Celebrating the release of the album, YFN Lucci heads down to SXSW to perform at the Pandora showcase on March 14. If you’re in Austin, don’t miss it. Singing and rapping with the same fiery force, YFN Lucci represents the next evolution of the Atlanta sound. Inking a deal with Think It’s A Game Records in 2014, he quietly developed into one of his city’s most powerful voices. Following the success of Wish Me Well, he unleashed Wish Me Well 2 in 2016. It yielded the platinum-certified smash “Key to the Streets” [feat. Migos & Trouble], which amassed over 43.2 million Spotify streams, turned up a high-profile remix with Lil Wayne, 2 Chainz, and Quavo, and landed on XXL’s “50 Best Hip-Hop Songs of 2016” and Vibe’s “The 60 Best songs of 2016” list. Forbes proclaimed YFN Lucci among “5 Breakout Hip-Hop Artists to Watch This Summer” and Billboard dubbed him one of the “Top 10 Hip-Hop & R&B Artists to Watch in 2017”—he’s lived up to those claims with his EP Long Live Nut, and now Ray Ray From Summer Hill, (Think It’s A Game Records/Warner Bros. Records).